Does your child like to run? Does he like to have FUN? Then Boys Gym Jam is for him!!! Why do boys love Gym Jam? 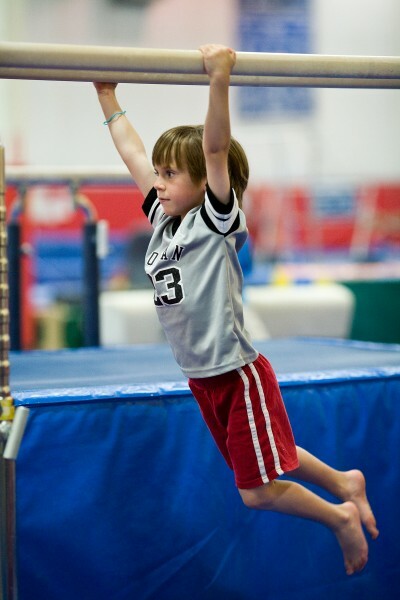 We have a top notch fully equipped boys gymnastic facility. Each class is taught right in the center of the exciting action. The boys get to see all levels from Beginners to Elite athletes. 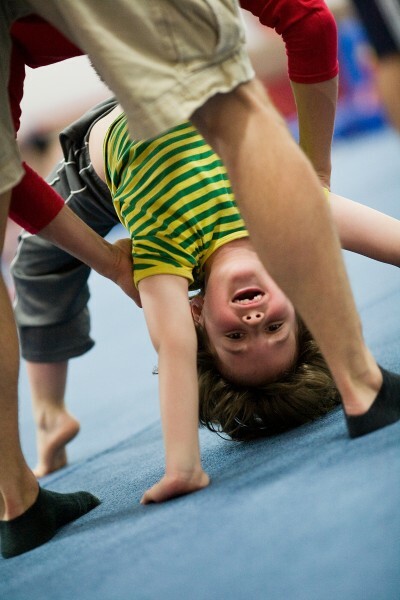 Through the art of gymnastics we have fun building conﬁdence and muscles! 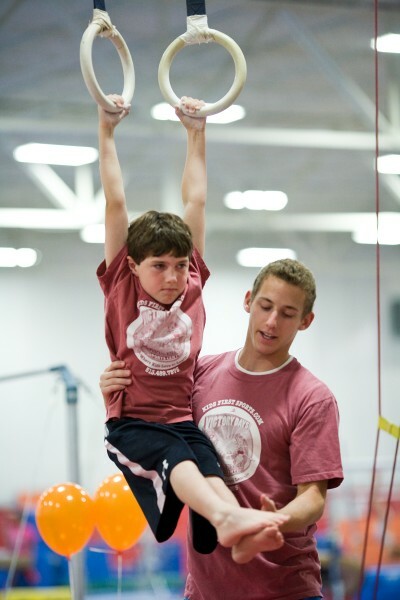 In Boys Gym Jam we believe that every child can develop a positive attitude towards physical ﬁtness. Every Gym Jammer learns at his own rate without the peer pressure that is often involved with many other team sports. We create a learning environment where the use of encouragement and positive reinforcement helps boys overcome their fears, building conﬁdence, character and self-esteem. We believe that learning should be fun and rewarding and we gauge this by the smiles on their faces. In Gym Jam, we want boys to experience the satisfaction that comes with facing new challenges head-on and the joy one feels when they reach their goal! All boys are treated equal regardless of their athletic abilities. We focus on the individual aspect of the sport rather than as a competitive team. 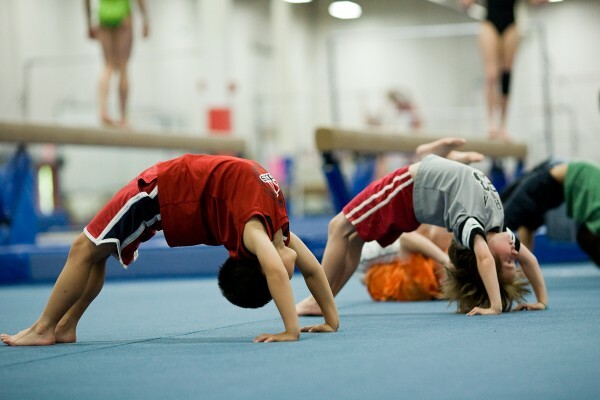 We develop overall body strength and coordination through fun but challenging gymnastic movements. We teach only through positive reinforcement! Freestyle Acrobatics is the art of creative movement. This new sport is an alternative to kids that have trouble staying involved in gymnastics at the competitive level. Freestyle Acrobatics invites all ages and levels of acrobats to compete, train, and develop positive physical and mental skills. Freestyle Acrobatics breaks away from traditional organized sports in that it allows athletes to really use their creativity and expressiveness to solve problems through movement. 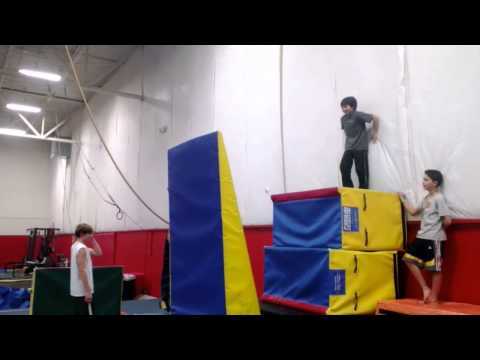 They are literally faced with an obstacle course in which they have to learn how to maneuver and work through it using mental and physical skills they have developed through Freestyle Acrobatics. They still learn the life lessons of organized sports: teamwork, developing discipline and time management skills, and the importance of physical fitness. Freestyle Acrobatics allows athletes to learn these important lessons while allowing much more creativity and individual freedom than a “traditional” organized sport. Freestyle Acrobatics is a new AAU program that is great cardiovascular and cross training exercise. It is a great choice for kids wanting to participate “just for fun”, for athletes that want to be competitive, and can even supplement training for another sport! “Family” is the best word that describes the Boys Gym Jam teachers. 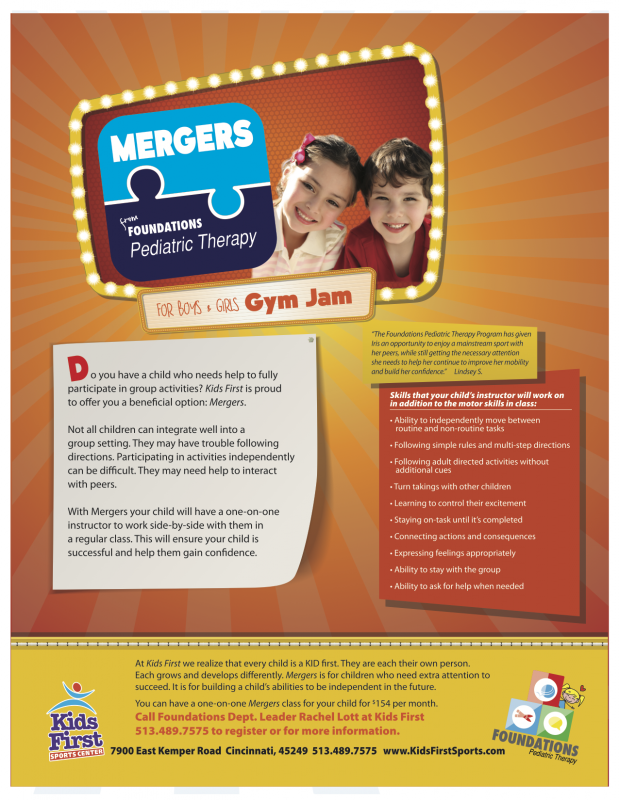 Most of them have worked together for many years and are truly dedicated to creating happy, healthy, responsible kids. Three of our teachers have grown up at Kids First, starting in Tumble Bees and climbing their way to the top where they are currently part of our boys competitive team program. We now watch these young men with great pride as they teach other children with the principles and values that they’ve learned at Kids First. We take role modeling very seriously in Gym Jam. Everyone is positive and energetic while teaching. We all love working with kids and have as much fun as they do while teaching our classes. We laugh, we smile, we all have FUN together! This note is one of praise and thanksgiving - for your concept, for your capable staff from the front door and inward and especially for Marty Wagner. My husband and I met Marty at your open house last month, introduced by a former participant’s parent. We explained our many concerns about placing our new ward, our nephew, in Gymnastics. Diminutive, ADD, working with Pediatric OT on Sensory Input Disorder (SID) and emotionally and academically young - and yet Marty said, “I’ll take him and work with him patiently in a lower grade level.” And so he has!! We are astonished and amazed and tearfully grateful each week we come and watch. This child can feel success - this child can grow in strength and ability. Marty is a miracle worker in an environment you created for miracles to happen in! Marty ﬁrst started gymnastics by ﬂipping around in his back yard at the young age of eight. After learning many skills at home and scaring his mother frequently, she ﬁnally took him to a gymnastics club where he continued his love for gymnastics through high school. He then went to Miami University Oxford for two years, studying Zoology. 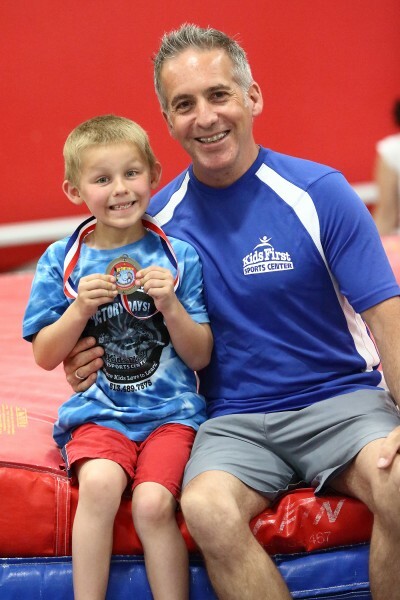 During his years at College, Marty and a teammate started a gymnastic program for children that lived in the surrounding area and he discovered his true passion for teaching. 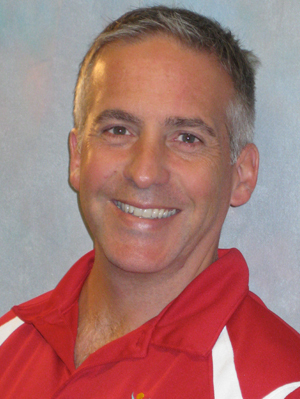 Marty started teaching gymnastics at the age of 16 and now has over 25 years of coaching experience. He’s a patient, caring and fun-loving Instructor who loves working with children of all ages. Along with being the Department Leader for Kids First’s Boys Gym Jam program, he instructs Tumble Bees and is the leader of the Boys Blast program. He also teaches gardening and nature in Camp-a-Palooza summer camp. Marty is very involved in his community of Kennedy Heights. He founded the Giving Garden of Cincinnati a neighborhood community garden and is currently President. Through the Giving Garden he hopes to teach children about gardening and nature through a Butterﬂy Raise and Release program. His own private garden has been featured in the Cincinnati Enquirer. He hopes to some day have his garden featured in Better Homes and Gardens Magazine. Marty loves to travel and experience new cultures. He lived in Venezuela for a year and has traveled to Costa Rica, Peru, Mexico and Panama. His love for the rain forest keeps him going back.